Mild steel construction with chain and wooden layer. 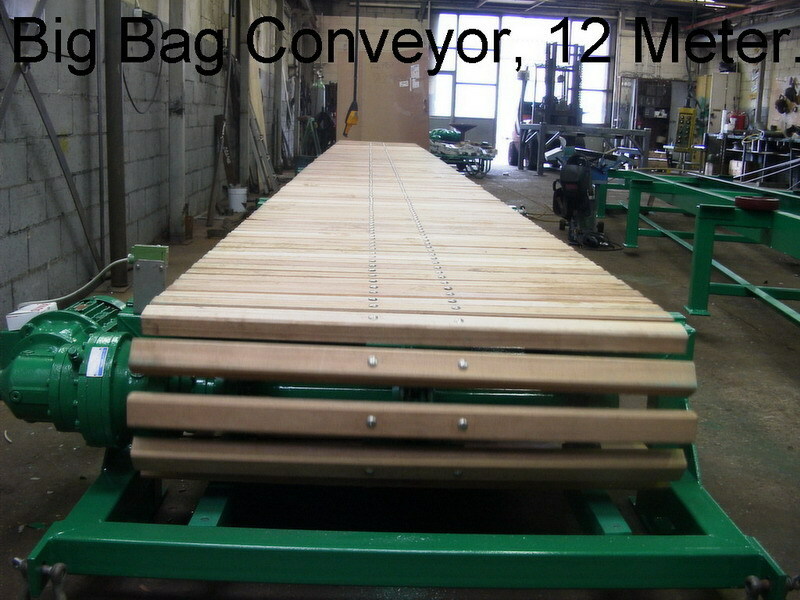 The Big Bag Conveyor is a horizontal wooden chain conveyor that transports FIBC (Flexible, Intermediar, Bulk, Containers) bags. The beams are made of hard tropical wood (Bankirai). 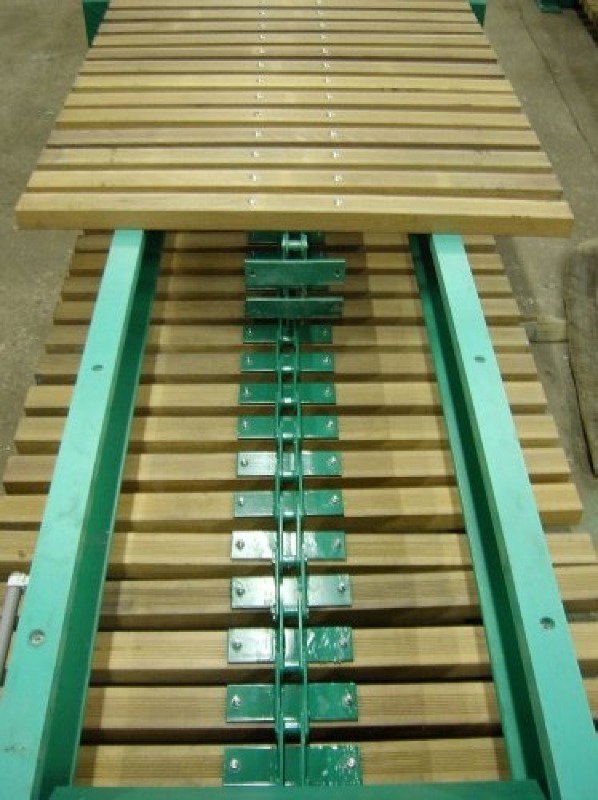 The wood is bolted on plates that are welded on a chain. 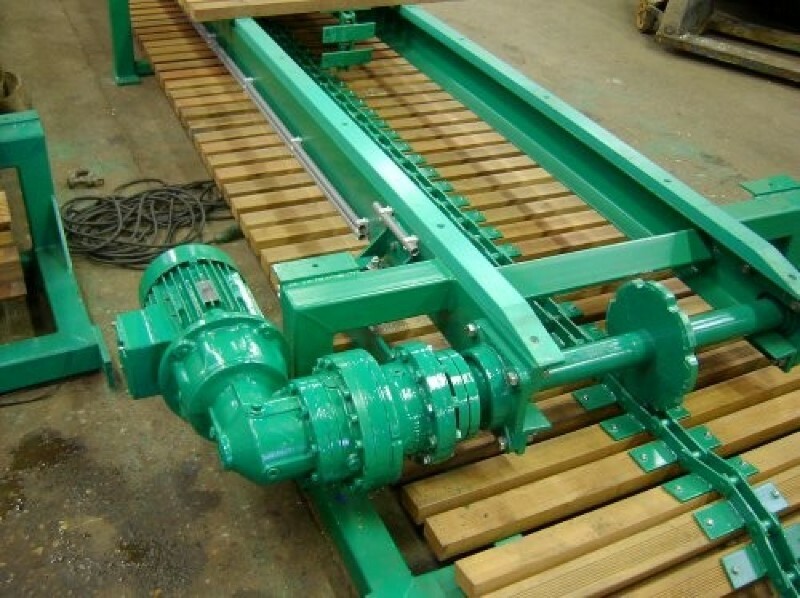 A chain pulls the wooden beams over a frame covered by Polythene HMPE profiles. 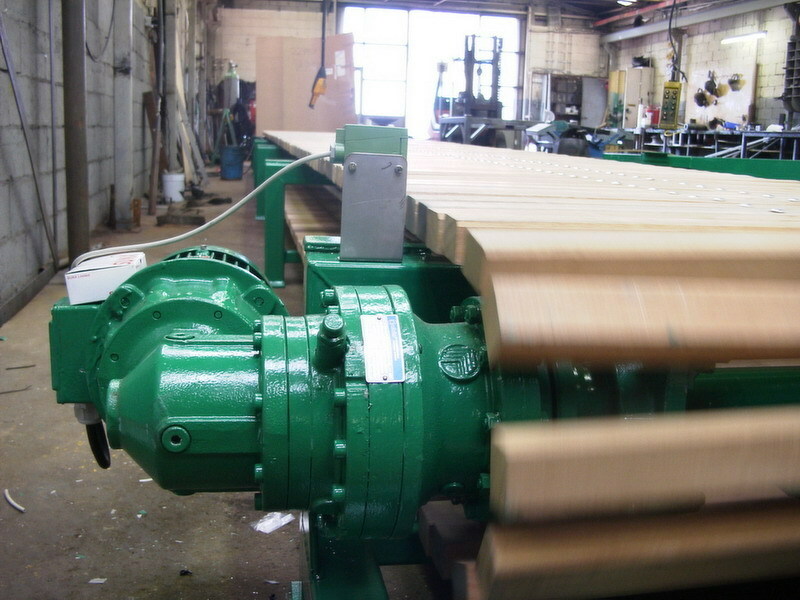 This system does not require any rollers with bearings. The conveyor is placed beneath the bagging spout of the big bag line. 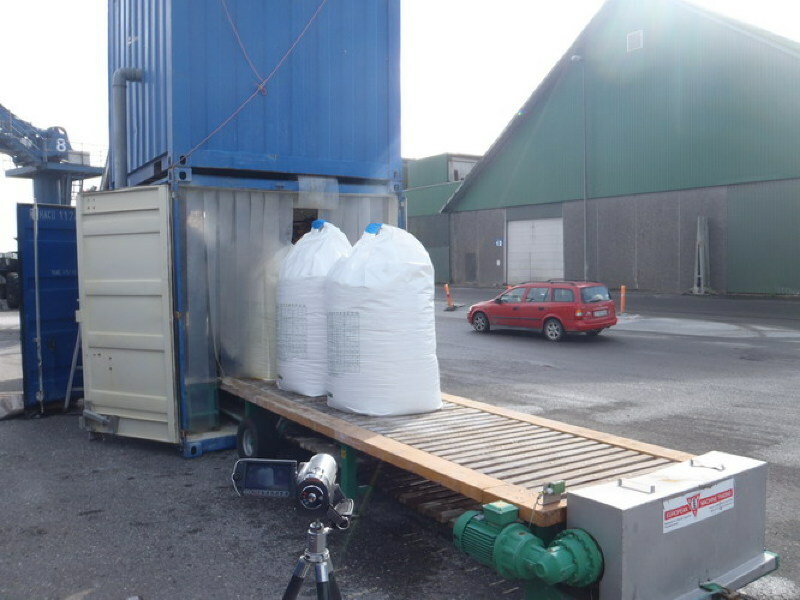 During the filling process, the FIBC bag stands on the conveyor. 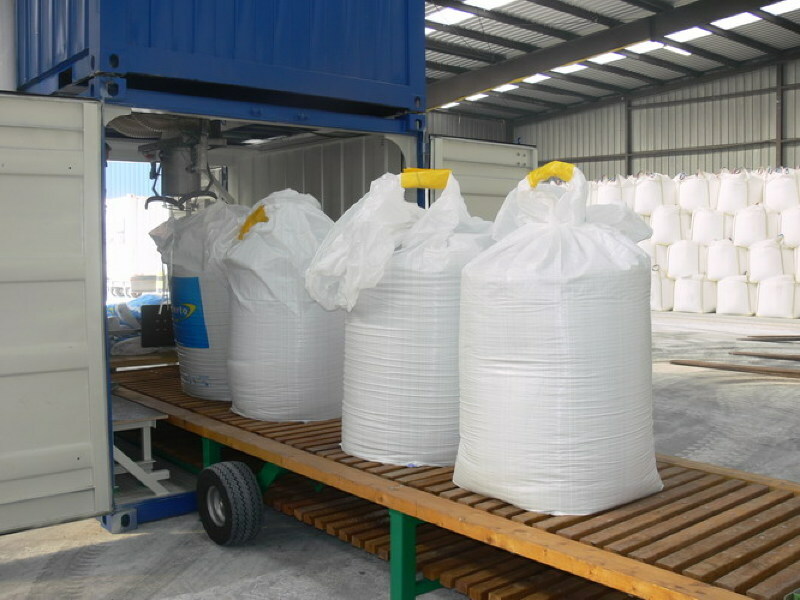 When the bag is full, the operator pushes a button and the conveyor moves the bag. This bag is closed at the same time as a new bag is filled. 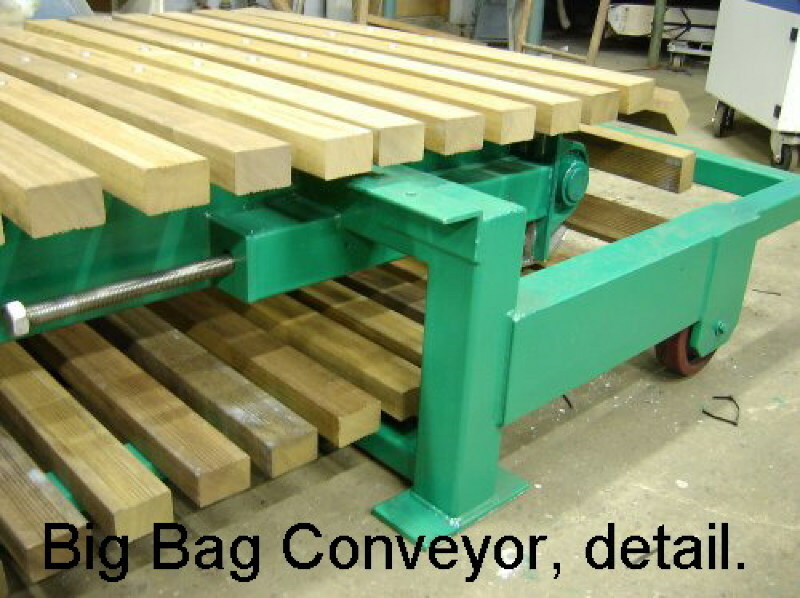 The conveyor can move 1000 kg big bags. 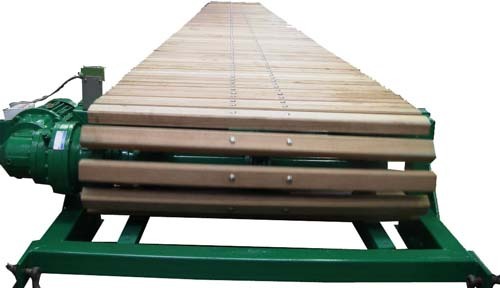 The standard length of the Big Bag Conveyor is 7000 mm, with a bag holder length of 6000 mm. 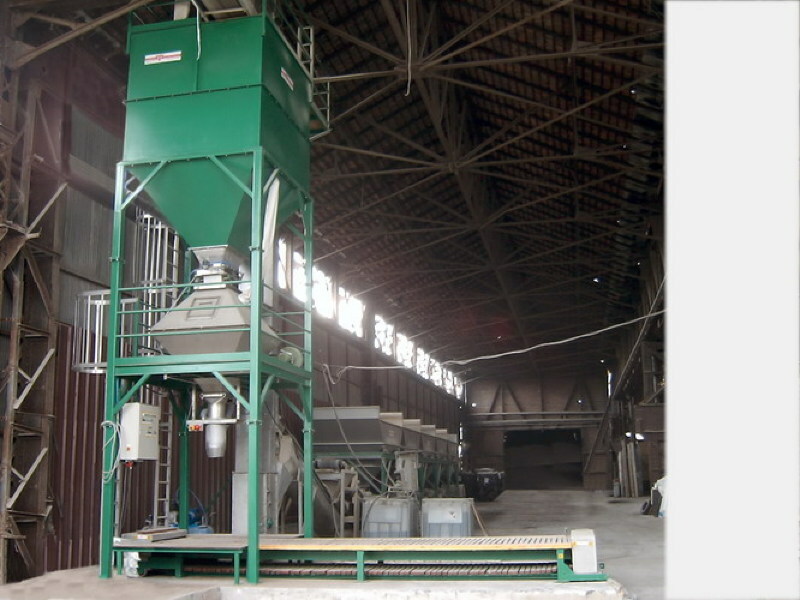 Due to the innovative construction of the Big Bag Conveyor, it is easy to clean and maintain. 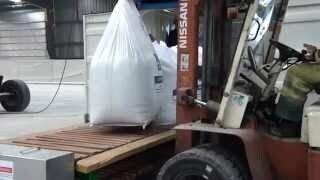 It is possible to transport the conveyor with a forklift. 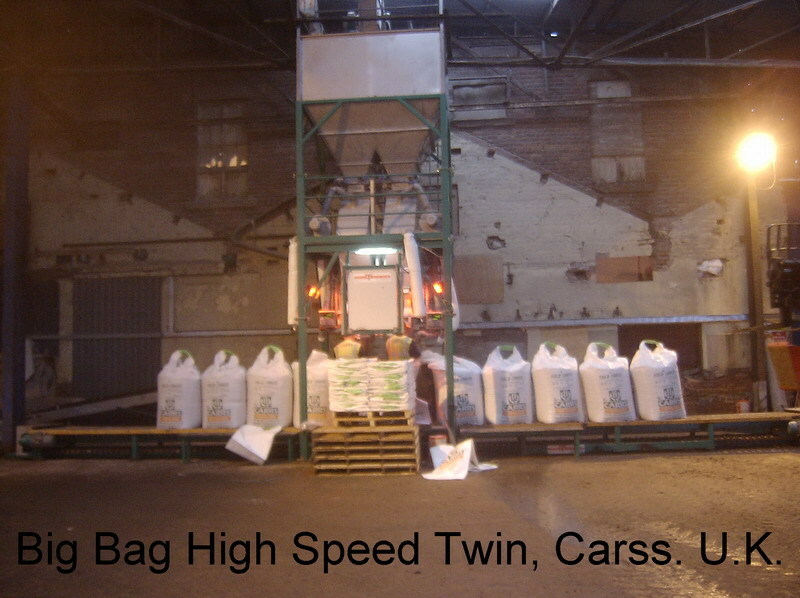 The conveyor can be fully loaded with big bags. 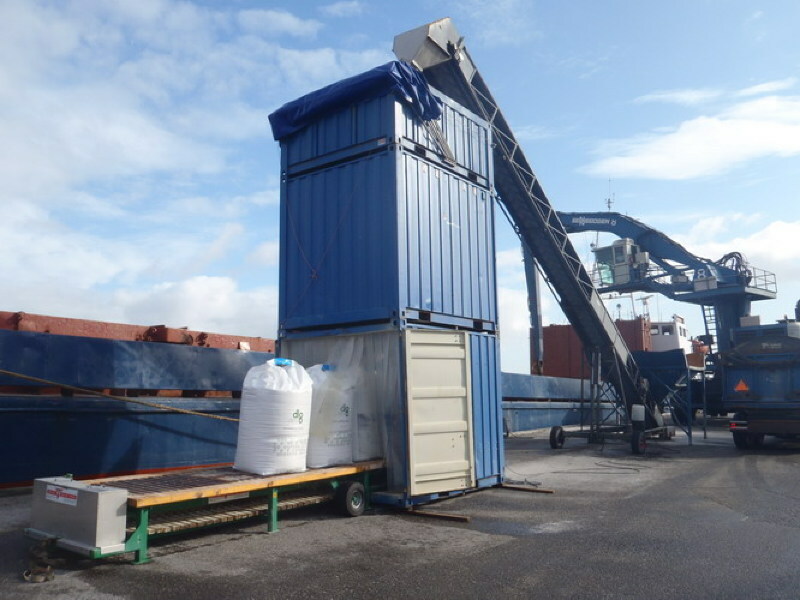 It is possible to pick up bags from the conveyor from all angles. All safety guards are constructed of stainless steel.